City and local governments. Small businesses. Fleet operators. Hospitals. It doesn't matter who you are - everyone has someone who relies on them. So who is it for you? The community? Your employees, customers and their families? Being ready for emergencies means everything to those who depend on you. With hurricane season running from June to November, we know that the storms are coming. Ever since the historic 2005 hurricane season of Katrina and Iris, much of the Southeast has escaped the wrath of multiple storms. Could this be the year the streak ends?. And if it is, will you be prepared for those who rely on you? 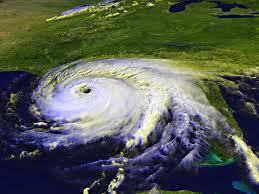 Nearly half the generators in Florida failed during the last storms. The most common cause of generator shutdown? Contaminated fuel. This is a consistent problem. Whether it was Superstorm Sandy in 2013 or the seven hurricanes of the 2005 season, even going back to the 2001 national blackout that put 50 million people in the dark, fully 25-50% of backup generation and pumping systems haven't worked properly when called upon. And why is that? It's not the machines themselves, it's the fuel. Fuel that sits for months, even years, waiting for the moment when it will be called into action to provide critical service to those relying on it. If business and entities with stored fuel monitored their fuel on any kind of regular basis, they could head off a lot of these problems. Even simple microbe testing would help tremendously. But most stored fuel users don’t do this simple step, and many of those don’t even know what their options are. They say what you don’t know can’t hurt you. Not in this case. May be even worse? That's a serious charge. But hurricane season is longer than in previous years, which makes it even more likely for a damaging storm to hit us this year. And if you know about how the transition to ultra-low sulfur diesel fuel is bad news for generator and emergency engine health, you know the statement is right in the ballpark. Today's diesel fuels don't have the sulfur content to inhibit the growth of microbes. And this kind of diesel fuel that sits for months and years on end in backup systems is an open invitation for the development of these kinds of serious fuel issues that render essential systems ineffective when the emergency is upon you and those depending on you. If you’re one of the many who don’t consider periodic microbe testing of your stored fuel, you’re basically flying blind when it comes to catastrophic problems during storm season. You've got a lot to think about. That’s why we create the Bell Fuel & Tank Services program with the right combination stored fuel testing and monitoring along with the right combination of chemical solutions and mechanical cleaning processes that cover the best practice standards in the industry. And that's also why we created a handy Hurricane Preparation Guide for businesses. It's got helpful tips and guidelines on what to do before and during a storm, so you and your business can be there for those that depend on you. And, of course, it's free.